Language Link was established in 1975 and is now one of the most successful international language training organisations in the world. 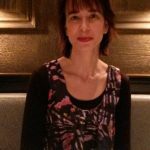 Based in central London, Language Link has over 40 years of experience in professional English language teaching and professional development. Are you passionate about teaching? Do you need a teacher training course that will hone your pedagogical skills and open the doors to the teaching world? TYLEC (Teaching Young Learners Extension Certificate) courses are designed to equip teachers who wish to teach children and adolescents in the age range 7–16 with knowledge, understanding and confidence in areas such as using resources, classroom management and lesson planning. They also raise awareness of the context and theory of language teaching and learning to children and adolescents. Schools Link offers English language education programs in Vietnamese schools from primary through secondary. 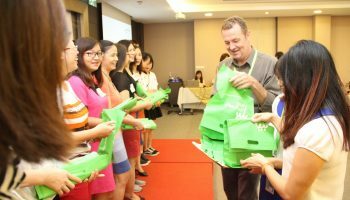 Join our more than 75 English teachers teaching over 15,000 students in 10 districts across Hanoi to experience our highly rated programs. In Language Link public schools, we provide an array of English courses that are suitable for all targets and ages. Every school is well resourced, with a large amount of supplementary materials and all the flash cards, books or audio that you could need. The staff are kind and helpful. You are always surrounded by really motivated language teachers and the academic managers are always there to answer your questions. 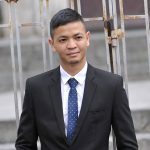 In Corporate Link, we help executives and their staff in both local and international corporations as well as government agencies and non-government organizations communicate more effectively in the global marketplace by focusing on the key soft skills and English skills needed in the modern work place. Language Link Vietnam was one of the first English teacher training centres in Hanoi, offering custom-built facilities and top-quality trainers. 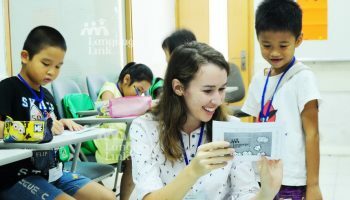 As a member of the Language Link International group of schools, Language Link Vietnam draws upon over 20 years of training experience, and an extensive network to support all its activities. Language Link is committed to making your teaching journey a rewarding and unforgettable experience. As a member of the Language Link Teaching staff, there is a wealth of opportunities for you to explore and grow with us. We offer following supports to help you grow faster. At Language Link we take fun seriously! Apart from a combination of world-class infrastructure and activities to make you more successful, we have a lot of exciting activities to make learning interesting and enjoyable. 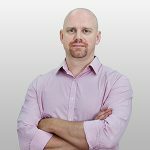 The working environment at LLV is unlike any that I had experienced before as it truly feels like a second home, a family even rather than just a workplace. The Academic Team, which I am blessed to be a part of now, has always been incredibly supportive to teachers by providing them with guidance, training, tips on how to navigate Hanoi and a willingness to help with just about anything. 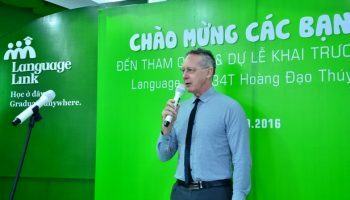 Learning English is, for many Vietnamese students, quite a challenge. To help them face the challenge, for me, it is always very important that students have many opportunities to speak. Also having fun is one of the key words, as it motivates students to learn in a relaxed environment. Through speaking activities and games students learn a lot and for me as a teacher it’s a great way to monitor and help students to improve their English. As a fully qualified English Language Teacher, I will always do my absolute best to make sure my students have a great experience. The lessons will be engaging, challenging and good fun and my students are encouraged to make mistakes to learn from that. Peer learning is also encouraged as we know that learners are often able to help each other. Working at Language Link allows me to work with a wide variety of learners at different levels. I teach some fantastic students and have lovely colleagues from all over the world. I’m gaining lots of useful experience to help me grow and develop as a teacher, which is great. Ha Noi is a great city to teach and live in too!